Click on any image to enlarge it, if needed. First, you'll need the Stampin' Up! 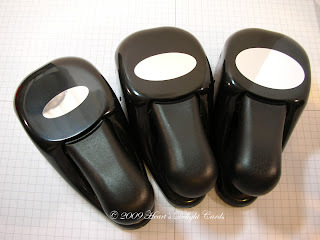 Small Oval Punch (107304), Large Oval Punch (107305), and Wide Oval Punch (112082). Note: If you don't have 'em, you can order them by clicking on the catalog under where it says My Stampin' Up! Website on the right. 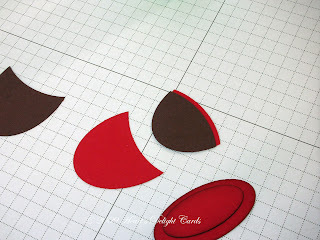 Now punch some Real Red cardstock with all three punches, and sponge some darker ink (I used Soft Suede) on the edges of the smaller two ovals. 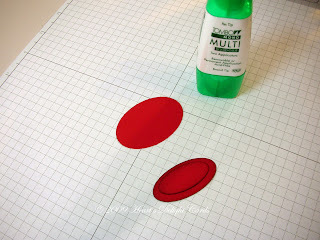 Glue the smallest oval onto the medium oval so it's slightly closer to one side. It's all about perspective! Next comes the cup handle. 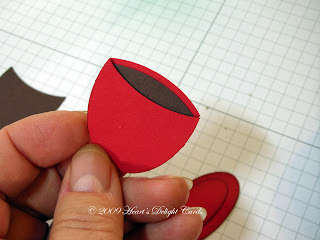 Using the smallest oval punch, cut into the cardstock at an angle. 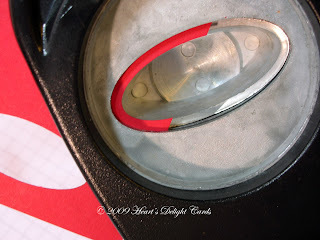 Then use the medium oval punch, lining it up just inside the previous cut. You may want to experiment to get the shape/size you want. Next you'll want to flatten the bottom of the cup a wee bit. 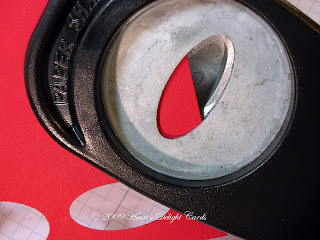 I used the Wide Oval Punch for this, but you could use scissors or a craft knife if you want. Sponge darker ink around the sides and bottom of the cup. Now you just glue the handle to the cup, sponge darker ink on the handle, glue the cup to the saucer, add some white gel pen highlights, and voila! A punchy cup! 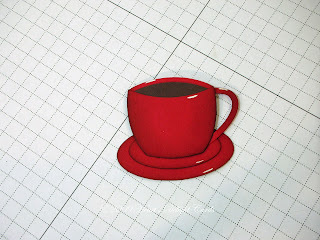 I think you could make a gorgeous "china" tea cup if you used some designer series paper instead of cardstock. 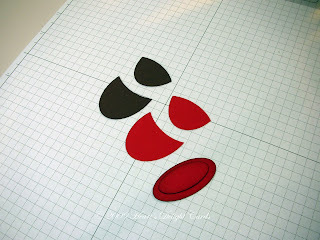 Or use the cardstock with some of the fabulous Stampin' Up! rub-ons! The possibilities are nearly endless!!! Thank you so much for stopping by today. 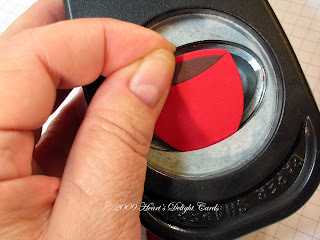 Happy stamping (or punching, as the case may be)! Brilliant! 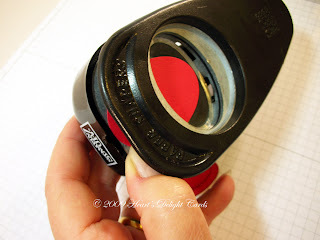 This is a great idea and an easy to understand tutorial! I can't wait to try it! NO WAY!! This is brilliant! wowza! 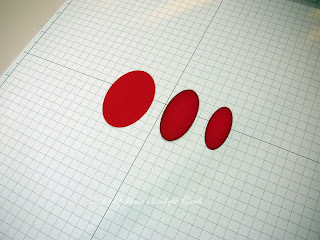 I love this and love your tutorial-great job and thanks so much for sharing! Wow, that's really cool! Glad I saw your 'link to your latest' post on SA today!! LOVE IT! Great tutorial, too. Can't wait to make this - thanks so much for sharing! Oh...glasshoppa...you make me proud! Unbelievable...your imagination never ceases to amaze me. Love it, and love you! Great tutorial! I may have to case this after the holidays.